Dr. Jared M. Huston is an assistant investigator at The Feinstein Institutes for Medical Research. 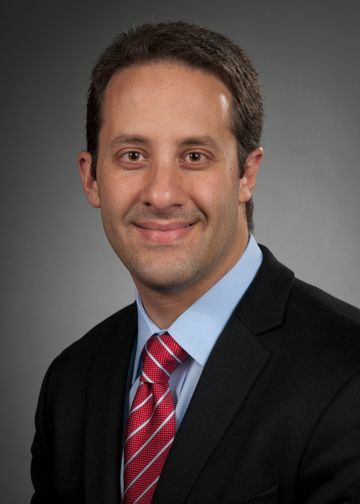 He is also an assistant professor of Surgery at the Zucker School of Medicine and an assistant attending in the Division of Trauma and Acute Care Surgery at Northwell Health. Dr. Huston also serves as the director of Trauma Research for the Department of Surgery. Prior to joining Northwell Health, Dr. Huston served as an assistant professor of Surgery in the Division of General Surgery, Trauma, Surgical Critical Care and Burns at the Stony Brook School of Medicine. He also served as the director of the Laboratory of Surgical Immunology within the Department of Surgery. The focus of Dr. Huston’s research group is to understand how the central nervous system maintains homeostasis and protects against traumatic injury. Trauma is a leading cause of death and disability around the world. Two of the most dangerous complications following traumatic injury include bleeding and infection. In the United States, the most common preventable cause of death following traumatic injury is uncontrolled hemorrhage. Therapies to improve hemostasis following injury are limited. Based on the work of Dr. Kevin Tracey, it is known that the brain monitors and regulates systemic inflammation through the vagus nerve. This pathway is termed the inflammatory reflex, and is comprised of afferent and efferent vagus nerve signaling. The efferent arm of this endogenous neural reflex, referred to as the cholinergic anti-inflammatory pathway, signals through the abdominal vagus nerve and the splenic nerve to target the spleen. Vagus nerve signaling results in release of acetylcholine from a specific subset of T-lymphocytes in the spleen. Acetylcholine can down-regulate pro-inflammatory cytokine production by stimulating the alpha 7 nicotinic acetylcholine receptor subunit on the surface of tissue macrophages. Activation of the cholinergic anti-inflammatory pathway via electrical or mechanical stimulation of the cervical vagus nerve, or via administration of a pharmacological cholinergic agonist, has been shown to prevent lethal organ injury in multiple models of systemic inflammation, shock and sepsis. Recently, we reported that activation of the inflammatory reflex inhibits experimental post-traumatic hemorrhage. Electrical vagus nerve stimulation significantly reduces total blood loss and time to cessation of bleeding following peripheral soft tissue injury in swine. Vagus nerve stimulation is associated with accelerated clot formation specifically at the site of tissue injury. These findings have also been observed in small animal models of both peripheral and visceral traumatic hemorrhage. Dr. Huston’s research group is currently investigating the mechanisms underlying these observations, with the hope of translating the beneficial effects of vagus nerve stimulation into the clinical arena to improve care of traumatized patients. Huston, J.M. “The vagus nerve and inflammatory reflex: wandering on a new treatment paradigm for systemic inflammation and sepsis.” 2012. Surgical Infections 13(4): 187-93. Huston, J.M. and Tracey, K.J. “The Pulse of Inflammation: Heart Rate Variability, the Cholinergic Anti-Inflammatory Pathway, and Implications for Therapy.” 2010. Journal of Internal Medicine269(1): 45-53. Czura, C.J., Schultz, A., Kaipel, M., Khadem, A., Huston, J.M., Pavlov, V.A., Redl, H., and Tracey, K.J. 2009. “Vagus nerve stimulation regulates hemostasis in swine.” Shock. 33(6): 608-13. Huston, J.M., Rosas-Ballina, M., Xue, X., Dowling, O., Ochani, K., Ochani, M., Chatterjee, P., Tracey, K.J., and Metz, C.N. 2009. “Cholinergic neural signals to the spleen regulate leukocyte trafficking via CD11b.” Journal of Immunology. 183(1): 552-9. Huston, J.M., Yuan, R., Wang, H., Ochani, M., Ochani, K., Rosas-Ballina, M., Gallowitsch Puerta, M., Ashok, M., Ma, J. Yang, L, Tracey, K.J., and Yang, H. 2007. “Splenectomy protects against sepsis lethality and reduces serum HMGB1 levels.” Journal of Immunology. 181(5): 3535-9. Rosas-Ballina, M.,Ochani, M., Parrish, W.R., Ochani, K., Harris, Y.T., Huston, J.M., Chavan, S., and Tracey, K.J. 2008. “Splenic nerve is required for cholinergic anti-inflammatory pathway control of TNF in endotoxemia.” Proceedings of the National Academy of Sciences. 105(31): 11008-13. Huston, J.M., Puerta, M.G., Ochani, M., Ochani, K., Yuan, R., Rosas-Ballina, M., Ashok, M., Goldstein, R.S., Chavan, S., Pavlov, V.A., Metz, C.N., Yang, H., Czura, C.J., Wang, H., and Tracey, K.J. “Transcutaneous vagus nerve stimulation reduces serum high mobility group box 1 levels and improves survival in murine sepsis.” 2007. Critical Care Medicine. 35(12): 2762-8. Qin, S., Wang, H., Yuan, R., Ochani, M., Ochani, K., Rosas-Ballina, M., Czura, C.J., Huston, J.M., Miller, E., Lin, X., Sherry, B., Kumar, A., LaRosa, G., Newman, W., Tracey, K.J., and Yang, H. “Role of HMGB1 in apoptosis-mediated sepsis lethality.” 2006. Journal of Experimental Medicine. 203(7): 1637-42. Huston, J.M., Ochani, M., Rosas-Ballina, M., Liao, H., Ochani, K., Pavlov, V.A., Gallowitsch-Puerta, M., Ashok, M., Czura, C.J., Foxwell, B., Tracey, K.J., and Ulloa, L. “Splenectomy inactivates the cholinergic anti-inflammatory pathway during lethal endotoxemia and polymicrobial sepsis.” Journal of Experimental Medicine. 203(7): 1623-8. Goldstein, R.S., Gallowitsch Puerta, M., Yang, L., Rosas-Ballina, M., Huston, J.M., Czura, C.J., Lee, D.C., Chiorazzi, N., Sama, A.E., and Tracey, K.J. “Elevated high mobility group box-1 (HMGB1) levels in patients with cerebral and myocardial ischemia.” 2006. Shock. 25(6): 571-4. Pavlov, V.A., Ochani, M., Ivanova, S., Gallowitsch Puerta, M., Ochani, K., Huston, J.M., Czura, C.J., Al-Abed, Y., and Tracey, K.J. “Central muscarinic cholinergic regulation of the systemic inflammatory response during endotoxemia.” 2006. Proceedings of the National Academy of Sciences. 103(13): 5219-23. Saeed, R.W., Varma, S., Peng-Nemeroff, T., Sherry, B., Balakhaneh, D., Huston, J.M., Tracey, K.J., Al-Abed, Y., and Metz, C.N. “Cholinergic stimulation blocks endothelial cell activation and leukocyte recruitment during inflammation.” 2004. Journal of Experimental Medicine. 201(7): 1113-23.